REDDITCH ENTACO 2nds secured a second title triumph of the campaign for the club on a dramatic final day of action. The Kingfishers began Saturday third in the Worcestershire League Division One 2nd XI table but a 69-run victory at Colwall proved enough to leapfrog both previous leaders Feckenham and Stourport, securing the title and promotion in the process. The Millers saw their match at Hagley abandoned and Stourport were beaten by six wickets at Coombs Wood, allowing Redditch to take full advantage thanks to inspired bowling performances from brothers Haleem and Raheem Basharat. Haleem took 4-23 and Raheem 3-14, in addition to Greg Chinn’s 2-35, to dismiss Colwall for just 80 in the 22nd over. The visitors had earlier made 149 all out off 31 overs, built entirely around 63 from Yassar Altaf, 31 from Chinn and 21 not out from Mohammad Nasir. Redditch 2nds pipped long-time leaders Feckenham to the crown by just two points and will, like their first team counterparts, now prepare for life in the Birmingham League in 2018. 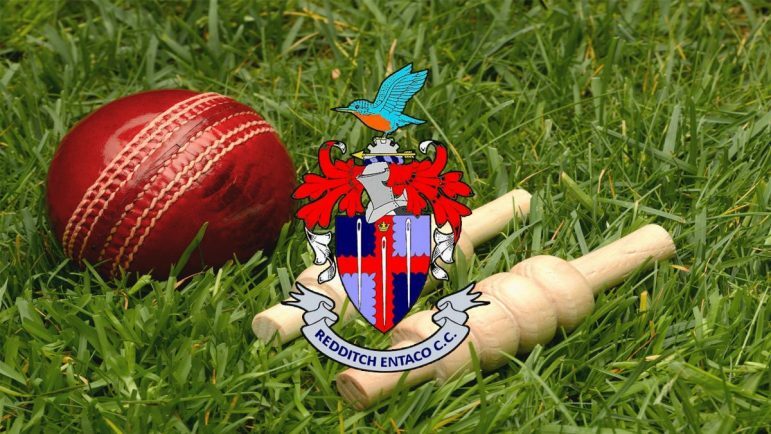 DIVISION One champions Redditch Entaco were denied the chance to register a 15th win of the campaign as their final day clash at home to Colwall was abandoned without a ball bowled. Nevertheless, the Kingfishers totalled 345 points and finished 43 above second placed Bewdley.